Retail | Kollman’s Greenhouse a Cleveland Area Source for plant and flower retail. Kollman’s Greenhouse is open to the public during all seasons. 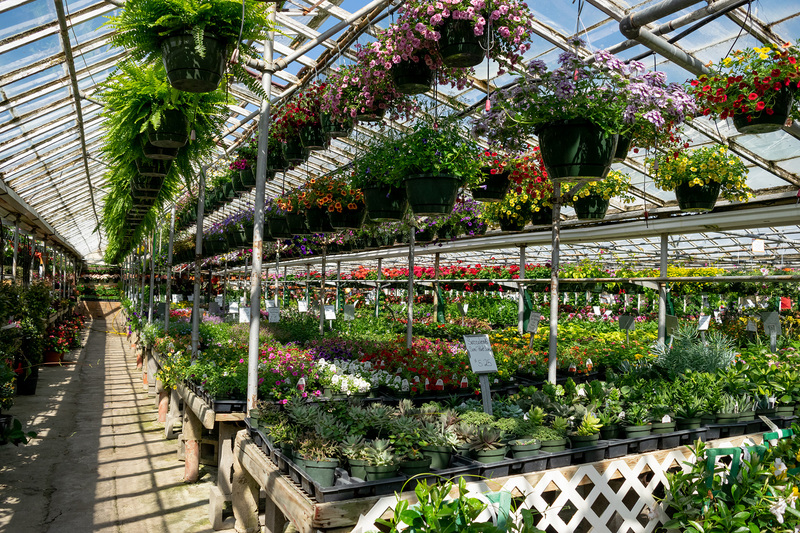 Our large, unique selection of plants and knowledgeable staff will help you craft the perfect garden that is sure to make your yard stand out from the rest of your neighborhood. We are family owned and dedicated to offering our customers a fun, friendly experience. Our staff are expertly trained and up-to-date with all the most current information making us able to answer all of your questions. We offer a unique and friendly experience and you are sure to be comfortable while you shop at Kollman’s. Our friendly and knowledgeable staff are happy to help you pick out the perfect plants for your containers. We can offer suggestions for that difficult to fill place in your yard as well as answer questions about insects, diseases and soil management. We offer products for plant health as well as insect and disease management. We carry Espoma® Organic and Jack’s fertilizers, Garden Magic® soils as well as garden hand tools, watering wands and multiple sizes of gloves. We also offer a variety of bagged hardwood mulches that don’t contain any artificial dyes. We carry a full selection of seed packets for flowers, vegetables and herbs along with the peat pots to start them in. Stop by and check out our hardgoods section for these items and more. Finally, if you’re looking for a birthday, retirement, Mother’s Day or just-because-gift we offer gift certificates. Our gift certificates are printed on heavy card stock for a more sophisticated look than a plastic card. They’re good for one year and are a favorite among our customers.